Make Halloween a night for more Treats than Tricks - Scarsdale Premier Insurance Agency | Advocate Brokerage Corp. This year Halloween falls on a Saturday. With pleasant weather in the forecast it is shaping up to be a fun filled night for the little kids and teens in your life, but has the risk of a horror for you and your home. We’ve compiled a list of things you can do to set yourself up for a night filled with more treats and less tricks. There are two main concerns when it comes to protecting yourself from the risks associated with Halloween. The first is damage that comes as a result of vandalism and the second is liability risks that you open yourself up to from having people visiting your home. Below, we’ll talk about both. Most standard homeowner’s insurance policies do cover damages resulting from vandalism, whether it’s dents in your siding, broken windows, or a destroyed mailbox. If you have any concerns regarding your coverage, please give us a call. It is much better to have a conversation with your Advocate team rather than worry about your property being protected. Leave your lights on and/or have motion sensitive lights installed. A well-lit home tends to deter would-be vandals. If damage of your home or property is on a smaller scale, it may be better to pay out of pocket. Multiple small claims on your policy can add up to higher premiums down the road. When it comes to liability risks, your homeowner’s insurance policy does offer you some level of protection. Slips, falls, dog bites and other liability risks that occur from neighborhood children trick or treating at your home would likely be covered. Incidents that occur inside your home (should you invite any visitors inside) would also likely be covered by your standard homeowners policy. However, if you are hosting a costume party and there is any alcohol involved, you may need to consider an umbrella type policy, if you don’t already have one in place. Be sure all paths to your door are clear, that there are no major uneven areas to help prevent the risk of someone tripping as they approach your door. Turn on your porch lights and keep them lit all night long. Inspect your stairs, railings and banisters for wear and make any necessary repairs. If any vandalism occurs such as smashed pumpkins or eggs being thrown at your home, clean up the mess as soon as you can to prevent slips and falls. If you have a pool, be sure it is covered and any gates surrounding it are locked. According to the Highway Data Loss Institute, vehicles are almost 2x as likely to be vandalized on Halloween or the nights leading up to Halloween. Whether it is paint damage, dents, or other types of pranks, it is best to make sure you are covered. Give us a call, we would be happy to help you review your auto insurance policy limits to make sure you are covered for damages resulting from vandalism. 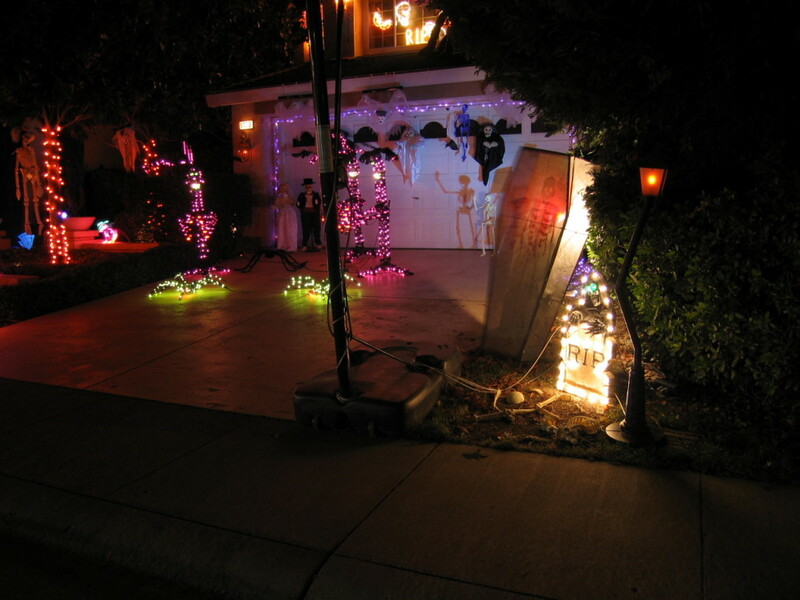 To prevent damages to your vehicle, pull your vehicle into a garage on the nights approaching Halloween. If you must travel, try to avoid routes that take you through popular trick or treating neighborhoods. If you have teenagers in your home, you all know the kinds of mischief they can get into on a night like Halloween. As we mentioned above, if you are hosting a party in your home with teens (who are under the drinking age) in attendance keep in mind that if they are injured in your home, you could be held liable. Encourage them to not drive with friends on Halloween. There are too many distractions and it is not worth the risks. Help them to plan their evening ahead of time. Knowing what they are planning and getting involved early on can help you put a stop to trouble before it arises. If you are hosting a costume party for your teen and his friends, don’t serve alcohol. Instruct small children to walk, not run, between houses. Make sure costumes are visible; dressing children in all dark clothing can make them difficult to be seen. Give them glow sticks or glow in the dark wrist bands so they can be seen by people driving. Trick-or-treat in groups, especially if you have small children. Make sure costumes don’t limit mobility. Costumes that are too long can present a tripping hazard and masks limit visibility. Inspect their candy before you allow them to indulge. Unfortunately, you can’t be too careful! Talk to them about the furry family members of the homes they may be visiting. Encourage them to always check with the animal’s owner before reaching out to pet them. As your insurance Advocate, we want to keep you informed of all insurance risks you may face. Take advantage of these tips to make sure that your Halloween is a fun and safe night. If you have any questions related to your coverage for your home or vehicles, please give us a call.